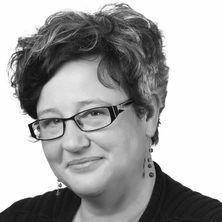 Dr Deborah van der Plaat is a Senior Research Fellow and Manager of the Architecture Theory Criticism History Research Centre (ATCH) at the University of Queensland. Her research examines the architecture of nineteenth century Queensland and Britain and their intersection with contemporary theories of artistic agency, climate, place and race. Writing histories of Queensland architecture is a second focus within her work. With John Macarthur, Jane Hunter, Andrew Wilson and industry partners State Library of Queensland, Conrad Gargett Architecture, Bligh Voller Nield, Wilson Architects and Riddel Architecture, she developed the Australian Research Council funded Linkage project "Architectural Practice in Post-war Queensland: Building and Interpreting an Oral History Archive" (2011-2013). Major outcomes of the project include: an exhibition, Hot Modernism: Building Modern Queensland 1945-1975 (State Library of Queensland, July- October 2014) curated with Janina Gosseye, Kevin Wilson and Gavin Bannerman; the Digital Archive of Qld Architecture qldarch.net; and a book, Hot Modernism: Queensland Architecture 1945-1975 (London: Artifice Press, 2015) co-edited with John Macarthur, Janina Gosseye and Andrew Wilson. In 2017, the project was awarded the John Herbert Memorial Award and the Gold Heritage Award, Interpretation and Promotion by the National Trust, Queensland. From 2009-2011 she was the recipient of the UQ Postdoctoral Fellowship for Women to work on the project, "Tropical environments and Queensland architecture (1850-1914): building historical understandings of the culture of architecture and climate change." This project resulted in a symposium titled Architecture at the Ragged Edge of Empire: Race, Taste and Place and the Colonial Context (State Library of Queensland, Brisbane, 27-28 June, 2013) and a number of papers which explore the insection of architecture, climate and race in Queensland architecture. This research is ongoing. From 2010-2014, Deborah was an editor of Fabrications, Journal of the Society of Architectural Historians, Australia and New Zealand and co-edited a series of themed issues including: The Nineteenth Century (20:2), Cosmopolis (21:2), American Links and Exchanges (22:1), Canberra Centenary (23:1) and Disciplinarity (23:2). With Antony Moulis, she convened Audience, the Twenty First Annual Conference of the Society of Architectural Historians of Australia and New Zealand (State Library of Queensland, Brisbane, July 2011). She is currently a member of the Society's editorial board. Deborah's work has been published in international and national journals including Architectural History, Architectural Histories, Fabrications, History of Gardens and Designed Landscapes, Interstices, Nineteenth Century Art Worldwide, Journal of Australasian Victorian Studies, Australian and New Zealand Art Journal and the Australian Journal of Garden History. Forthcoming books include: Karl Langer: Migrant and Modern Architect in Tropical Australia (London: Bloomsbury 2019), edited with John Macarthur & and Speaking of Buildings: Oral History Methods in Architecture (NewYork: Princeton Architectural Press 2019) edited with Janina Gosseye and Naomi Stead. American Society of Environmental Historians (ASEH) Travel Award 2019. John Herbert Memorial Award for the Most Outstanding Nomination, Hot Modernism: Exhibition, Digital Archive and Book, National Trust, Queensland, 2017. Gold Heritage Award, Interpretation and Promotion, Hot Modernism: Exhibition, Digital Archive and Book, National Trust, Queensland, 2017. Annual Conference Senior Scholar Fellowship, Society of Architectural Historians 2013. Postdoctoral Fellowship for Women (University of Queensland) 2009-2012. This research examines factors or contingencies of the colonial experience that challenged, worked against, or sat alongside the more formal (governmental) representations of colonisation. It also considers their impact on, or expression through, colonial and/or settler architecture. While colonial architecture is often assumed to approximate that of home, especially in formal and material terms, a question regarding architecture’s disciplinarity, it’s conceptual framing as an aesthetic or a high art, is often difficult to reconcile with the climatic, geographical, ethnic and racial complexity of the colonial context. Attaching architecture to philosophical and aesthetic concepts of beauty (such as the sublime or picturesque) and artistic agency (imagination, association, genius or judgement) western architecture has also been historically linked to specific climatic (temperate), racial and social ideals. Building on Kay Anderson’s thesis (2002) that European contact with Australian Aborigines generated a “crisis” for Enlightenment ideals of humanism, this research examines the climatic, geographical, racial and ethnic variations presented by the colonial context and whether they challenged and/or altered western conceptions of architectural practice. Western ideals of beauty have often been bound to an image of the natural world. Tropical climates and the physical environments they produced were also often seen to be degenerative to the creative impulse. In the mid-nineteenth century, in response to scientific exploration and the colonial experience, European ideals of beauty shifted their points of reference from temperate to tropical environments. Investigating architectural design in 19th century Queensland, the project seeks to understand how English theories on creative invention responded when transplanted into a tropical setting. The research has significance in understanding Queensland’s history and the cultural corollaries of climate and environmental science. Digital Stories and Semantic Web Technologies: New Practices in Developing and Interpreting an Architectural Archive. In 2011, researchers at the University of Queensland received funding to develop a digital archive on Queensland’s post-war architecture (1945-75). Bringing together researchers in architectural history, the digital humanities and industry partners, the project’s aims were threefold: to document the oral histories of a generation of architects who studied and worked in Queensland from 1945-1975; to gather these into a single online multimedia archive or federated database producing a new knowledgebase of Queensland architecture and design (qldarch.net); and to use innovative Semantic Web technologies to make visible for the first time a history that is currently veiled, dispersed, and tacit. This research considers the potential value of digital technologies not only to the construction and management of the architectural archive but also to its interpretation. Focusing on emerging Web technologies including semantic text analysis, tagging, compound object authoring, and semantic inferencing, the research considers their application to the study and advancement of architectural history. van der Plaat, Deborah (2017). Climatic discomforts: [sub]tropical climates, racial character and the nineteenth-century Queensland house. In David Ellison and Andrew Leach (Ed. ), On discomfort : moments in a modern history of architectural culture (pp. 51-63) Abingdon, Oxon, United Kingdom: Routledge. Hot modernism: Queensland architecture 1945-1975. Edited by John Macarthur, Deborah van der Plaat, Janina Gosseye and Andrew Wilson London, United Kingdom: Artifice, 2015. Macarthur, John, Hunter, Jane, van der Plaat, Deborah, Gosseye, Janina and Bannerman, Gavin (2014) Digital Archive of Queensland Architecture. Brisbane, QLD, Australia, ATCH Research Centre UQ. van der Plaat, Deborah (2014) Visualising the critical: artistic convention and eclecticism in Oscar Wilde’s writings on the decorative arts. Australasian Journal of Victorian Studies, 19 1: 5-19.
de Lorenzo, Catherine and van der Plaat, Deborah (2011). European subtropical projections: Humboldt, Segalen, and the Musee qui Branly. In Andrew McNamara (Ed. ), Sweat: The Subtropical Imaginary (pp. 17-27) Brisbane, Australia: Institute of Modern Art. de Lorenzo, C. and van der Plaat, Deborah Anne (2006) Southern geographies and the domestication of science in the photography of J. W. Lindt. Australian and New Zealand Journal of Art, 6/7 2/1: 143-166. The architectural career and work of Robin Gibson. Architectural Practice in Postwar Queensland (1945-1975): Building and Interpreting an Oral History Archive. Women Architects in Post Modern Queensland (1975-1995): Building and Interpreting a digital archive. Race, Place, Taste and the Colonial Context. The aim of this research is to consider factors or contingencies of the colonial experience that challenged, worked against, or sat alongside the more formal (governmental) representations of colonisation (in Australia and beyond). While colonial architecture is often assumed to approximate that of home, especially in formal and material terms, a question regarding architecture’s disciplinarity, it’s conceptual framing as an aesthetic or a high art, is often difficult to reconcile with the climatic, geographical, ethnic and racial complexity of the colonial context. Climate: The deterministic role of climate and landscape on colonial architecture is commonly argued. The disciplinary positioning of architecture within the colonial context is, however, rarely considered. How was the practice of architecture framed or viewed by architects working in colonial settings? Could the entanglement of taste (architecture as a cultivated rather than mechanical art, painting instead of engineering) be maintained? What effect did the topographical and climatic diversity revealed by colonisation have? Was it possible to cultivate an artistic practice or architectural culture within tropical/sub-tropical/arid settings? Did the aspiring artist/architect need to leave for more temperate climes in order to develop an aesthetic sense or could these concerns be addressed locally (southern versus northern colonies, or east versus west)? Or, from a slightly difference perspective, was climate viewed by colonial communities as degenerate or redemptive and did climate theorists explicitly address the arts/ architecture alongside the problems of labour and national character? Race: While British colonial institutions governed the early penal and settler societies of Australia, the populations of these new communities were often heterogeneous, ethnically diverse, and racially conflicted. In Australia, this is made most explicit by the imbalance of settler and indigenous populations and the conflict and dispossession that resulted. It is complicated further by the ethnic diversity of settler populations, one that is often mirrored in colonial settlements the world over. While racial and ethnic diversity and conflict are acknowledged as attributes of the colonial condition, their impact on the architecture of white settlement is less considered. How did issues of race, ethnic heterogeneity, hybrid populations or racial conflict impact on colonial architectural practice? Did architecture participate in broader agendas of cultural representation, racial division and/or “reform”? Did ethnic and racial diversity challenge the authority of colonial institutions and/or Enlightenment and humanitarian values of universality and equality? Were “hybrid” communities viewed, in accordance with nineteenth century theories on race—as potentially infertile, unproductive and lacking in character— or did they make explicit alternative models, such cosmopolitanism? Taste: Within Australia, colonised initially under a penal system and later through free settlement and migration schemes, significant proportions of early populations were often illiterate or semiliterate, valued for their physical labour rather than their intellectual capacity. Cultural refinement, as Evan has suggested, though not entirely lacking, often remained somewhat at a discount—at best a luxury and at worst a distraction. What role did the concept of ‘taste’ play in Colonial societies? What was the impact on the practice of architecture of such a demographic mix? How was architecture viewed by such communities (technical practice or higher art) and was it valued? Did architecture, and the broader arts, play a role in the lives, education and ‘improvement’ of such communities or was it the sole domain of government and a wealthy elite? Was a culture of architectural taste developed and if so how and by whom? Skyplane. Edited by Richard Francis-Jones, Lawrence Nield, Xing Ruan and Deborah van der Plaat Sydney, Australia: University of New South Wales Press, 2009. Stead, Naomi, van der Plaat, Deborah and Macarthur, John (2017). Building flagships: regionalism, place branding, and architecture as image in the Gallery of Modern Art, Brisbane. In Eva-Maria Troelenberg and Melania Savino (Ed. ), Images of the art museum: connecting gaze and discourse in the history of museology (pp. 261-286) Berlin, Germany: De Gruyter. van der Plaat, Deborah and Wilson, Andrew (2015). Bringing architecture to the people: defining architectural practice and culture in post-war Queensland. In John Macarthur, Deborah van der Plaat, Janina Gosseye and Andrew Wilson (Ed. ), Hot modernism: Queensland architecture 1945-1975 (pp. 15-29) London, United Kingdom: Artifice. van der Plaat, Deborah, Wilson, Andrew C. and Musgrave, Elizabeth (2015). Twentieth-century (sub) tropical housing: framing climate, culture and civilisation in post-war Queensland. In John P. Macarthur, Deborah van der Plaat, Janina Gosseye and Andrew Wilson (Ed. ), Hot modernism: Queensland architecture 1945-1975 (pp. 75-99) London, United Kingdom: Artifice. van der Plaat, Deborah (2015). ‘Shabby’ careers? Women working in architecture in post-war Queensland. In John P. Macarthur, Deborah van der Plaat, Janina Gosseye and Andrew Wilson (Ed. ), Hot modernism: Queensland architecture 1945-1975 (pp. 183-199) London, United Kingdom: Artifice. van der Plaat, Deborah (2012). Critical [re] connections: Oscar Wilde’s ‘The Critic as Artist’ (1891). In Naomi Stead (Ed. ), Semi-detached: Writing, representation and criticism in architecture (pp. 211-220) Melbourne, Australia: Uro Media. Macarthur, John and van der Plaat, Deborah (2012). Cummings, Robert. In Philip Goad and Julie Willis (Ed. ), The encyclopedia of Australian architecture (pp. 184-185) Port Melbourne, VIC, Australia: Cambridge University Press. van der Plaat, Deborah (2009). Architectural wit: Aesthetics, spectacle and ideology in the Griffins' proposed Capital Building. In Richard Francis-Jones, Lawrence Nield, Xing Ruan and Deborah van der Plaat (Ed. ), Skyplane : What Effect Do Towers Have on Urbanism, Sustainability, the Workplace and Historic City Centres. (pp. 174-185) Sydney, NSW: University of New South Wales Press. van der Plaat, Deborah (2009). Disciplinary contrasts science, art and the imagination in the nineteenth-century writings of William Lethaby, John Ruskin and Alexander von Humboldt. In Andrew Leach and John MacArthur (Ed. ), Architecture, Disciplinarity and the Arts (pp. 61-74) Louvain, Belgium: A & S Books (University of Ghent). De Lorenzo, Catherine and van der Plaat, Deborah (2009). cloud in Musee du quai Branly: Photography in Architecture. In Steffen Lehmann (Ed. ), Back to the City: Strategies for Informal Urban Interventions (pp. 84-93) Germany: Hatje Cantz Verlag. van der Plaat, Deborah and Walker, Paul (2012) Cosmopolis. Fabrications : The Journal of the Society of Architectural Historians Australia and New Zealand, 21 2: 4-7. Walker, Paul and van der Plaat, Deborah (2012) Editorial. Fabrications, 21 1: 2-4.
van der Plaat, Deborah (2011) Cosmopolitan interiors: Oscar Wilde and the House Beautiful. Interstices: Journal of Architecture and Related Arts, 12 48-58. Walker, Paul and van der Plaat, Deborah (2011) Editorial. Fabrications, 20 1: 4-5.
van der Plaat, Deborah (2010) 620 Wickham Street. Architecture Australia, 99 1: 72-76.
van der Plaat, Deborah (2009) Architectural ignorance and public indifference: Harold Desbrowe-Annear's lecture on "Some methods of Architectural criticism" (1893). Fabrications: The Journal of the Society of Architectural Historians, Australia and New Zealand, 19 1: 163-175. Van der Plaat, Deborah (2008) Review of: Shifting views: Selected essays on the architectural history of Australia and New Zealand, Andrew Leach, Antony Moulis & Nicole Sully (eds), St Lucia, Queensland: UQP, 2008. Fabrications, 18 2: 122-124.
van der plaat, Deborah and de Lorenzo, Catherine (2006) Sublimity and amenity at Lindt's Hermitage. Studies in Australian Garden History, 2 3962-3985. De Lorenzo, Catherine and van der Plaat, Deborah (2004) More than meets the eye: Photographic records of Humboldtian imaginings. Mosaic : A Journal for the Interdisciplinary Study of Literature, 37 4: 237-253. De Lorenzo, C and Van der Plaat, D (2004) 'Our Australian Switzerland': Lindt, Humboldt and the Victorian landscape. Studies in the History of Gardens & Designed Landscapes, 24 2: 133-149.
de Lorenzo, Catherine and van der Plaat, Deborah (2004) ‘Our Australian Switzerland’: Lindt, Humboldt and the Victorian landscape. Studies in the History of Gardens & Designed Landscapes, 24 2: 133-150.
van der plaat, Deborah (2004) The significance of the "temple idea" in William Lethaby's Architecture, Mysticism and Myth (1891). Nineteenth-Century Art World-Wide: A Journal of Nineteenth-Century Visual Culture, 3 1: . Stewart, Susan, Hanna, Bronwyn, Thompson, Susan, Gusheh, Maryam, Armstrong, Helen and Van der Plaat, Deborah (2003) Navigating the sea of diversity: Multicultural place-making in Sydney. International Journal of Diversity in Organisations, Communities and Nations, 3 233-246.
van der Plaat, Deborah (2002) (FAB12_1_002) 'Would you know the new, you must search the old': William Lethaby's 'Architecture, Mysticism and Myth' (1891) and the 'Hypnerotomachia Poliphili' (1499). Fabrications : The Journal of the Society of Architectural Historians, Australia and New Zealand, 12 1: 1-26.
van der Plaat, Deborah (2002) Seeking a 'symbolism comprehensible' to 'the great majority of spectators': William Lethaby's Architecture, Mysticism, and Myth and its debt to Victorian Mythography. Architectural History, 45 364-385. Van der Plaat, D (2002) Seeking a 'symbolism comprehensible' to 'the great majority of spectators': William Lethaby's architecture, mysticism and myth and its debt to Victorian mythography. Architectural History, 45 363-385.
van der Plaat, Deborah and Macarthur, John (2017). A Quiet Revolution: Robert Percy Cummings’ unpublished talks (1930-1970). In: Educating Architects and Planners, 1917-2017, The University of Auckland, Auckland, New Zealand, (). 8-9 September 2017. Gosseye, Janina, Stead, Naomi and van der Plaat, Deborah (2017). Alternative Facts: Towards a Theorisation of Oral History in Architecture. In: Theory's History 196X-199X - Challenges in the Historiography of Architectural knowledge, Ghent Belgium, (). 8-10 February 2017.
van der Plaat, Deborah (2017). Climatic Anxieties: Climate and Comfort in the Historiography of Australian Architecture. In: Environmental Histories Workshop, The University of Sydney, Sydney, (). 9-10 March 2017.
van der Plaat, Deborah (2017). Empty and Unproductive Australia: Migration, Race and Architecture in Twentieth Century Australia. In: Aesthetic Anxiety or Performative Subjectivity: National Narratives Encountering migrant architecture in Australia, Deakin University, Geelong, Australia, (). 16-17 November 2017.
van der Plaat, Deborah (2017). Triumph in the Tropics (1959): The physiological study of climate, Queensland architecture, and the development debate. In: iNTA2017: 6th International Network of Tropical Architecture Conference: Tropical Storms as a Setting for Adaptive Development and Architecture, Florida, United States, (). 2-4 December 2017.
van der Plaat, Deborah, Holden, Susan, Stead, Naomi and Greenop, Kelly (2015). Re-evaluating the Australian dream: narratives of high-rise living in Torbreck. In: Paul Hogben and Judith O’Callaghan, Proceedings of the Society of Architectural Historians, Australia and New Zealand: 32, Architecture, Institutions and Change. Society of Architectural Historians, Australia and New Zealand (SAHANZ) Annual Conference, Sydney, NSW, Australia, (675-687). 7-10 July 2015.
van der Plaat, Deborah (2014). Architecture of sun and soil. European architecture in tropical Australia. In: Michela Rosso, Investigating and Writing Architectural History: Subjects, Methodologies and Frontiers. EAHN Turin 2014: European Architectural History Network Third International Meeting, Turin, Italy, (1119-1129). 19-21 July 2014.
van der Plaat, Deborah (2014). Building and living north of the 28th parallel: climate, character and the Queensland house. In: Christoph Schnoor, Translation: The 31st Society of Architectural Historians, Australia and New Zealand (SAHANZ) Annual Conference. Society of Architectural Historians, Australia and New Zealand (SAHANZ) Annual Conference, Auckland, New Zealand, (865-879). 2-5 July 2014.
van der Plaat, Deborah (2013). Architecture at the ragged edge of empire: the problems of race, place and taste. In: Architecture at the Ragged Edge of Empire: Race, Place, Taste and the Colonial Context, State Library of Queensland, Brisbane, (). 27-28 June 2013.
van der Plaat, Deborah, Hunter, Jane, Gosseye, Janina, Macarthur, John and Wilson, Andrew (2013). Digital stories and semantic web technologies: new practices in developing and interpreting an architectural archive. In: 66th Annual Conference of the Society of Architectural Historians, Buffalo, NY, United States, (). 10-14 April 2013. Oral history: abusive widow of [architectural] historiography? van der Plaat, Deborah (2013). Oral history: abusive widow of [architectural] historiography?. In: Lost in Conversation: Constructing the Oral History of Modern Architecture, Brisbane, QLD, Australia, (). 1 November 2013. Hunter, Jane, Macarthur, John, van der Plaat, Deborah, Wilson, Andrew, Muys, Andrae and Bannerman, Gavin (2012). A Web 3.0 approach to building an online digital archive of architectural practice in post-war Queensland. In: A Climate of Change. International Council on Archives Congress 2012, Brisbane, QLD, Australia, (). 20 - 24 August 2012.
van der Plaat, Deborah (2012). A state of critical becoming: colour, convention (Orientalism) and eclecticism in the aesthetic interior. In: Lynn Churchill and Dianne Smith, Interior: A State of Critical Becoming: Book 1: Symposium Proceedings. Interior: A State of Becoming: An IDEA Symposium, Perth, WA, Australia, (21). 6-9 September 2012.
van der Plaat, Deborah (2012). A ‘style of architecture peculiarly suited to our requirements and climate’: physical, moral and disciplinary discomfort in Queensland architecture. In: Discomfort, Brisbane, Australia, (). 27 November 2012.
van der Plaat, Deborah (2012). Contrasts (agency and difference) in nineteenth-century writings on architecture and design: Pugin, Ruskin and Wilde. In: Stuart King, Anuradha Chatterjee and Stephen Loo, Fabulation: Myth, Nature, Heritage: The 29th Society of Architectural Historians, Australia and New Zealand (SAHANZ) Annual Conference. Society of Architectural Historians, Australia and New Zealand (SAHANZ) Annual Conference, Launceston, TAS, Australia, (1179-1193). 5-8 July 2012.
van der Plaat, Deborah (2012). Formal vocabularies. Cosmopolitanism, analogy and orientalism in Oscar Widle’s writings on art and architecture,. In: Victorian Vocabularies, AVSA 2012,, Griffith University, Brisbane, (). 11-14th April, 2012.
van der Plaat, Deborah (2012). Labour (productive and unproductive) and the economic landscape. In: UWA-UQ Workshop/ Historical and Cultural Studies of WA/QLD Goldfields and arid lands, Gwalia, Western Australia, (). 28 September 2012. Stead, Naomi, van der Plaat, Deborah and Macathur, John (2011). A taste for place: The cultivation of an audience for climate-responsive architecture in Queensland. In: Antony Moulis and Deborah van der Plaat, Audience: The 28th Society of Architectural Historians, Australia and New Zealand (SAHANZ) Annual Conference. Society of Architectural Historians, Australia and New Zealand (SAHANZ) Annual Conference, Brisbane, Australia, (1-15). 7-10 July 2011.
van der Plaat, Deborah (2010). The emancipated imagination and Victorian cosmopolis: Models of eclecticism in the work of GHM Addison. In: Michael Chapman and Michael Ostwald, Imagining: The 27th Society of Architectural Historians, Australia and New Zealand (SAHANZ) Annual Conference. Society of Architectural Historians, Australia and New Zealand (SAHANZ) Annual Conference, Newcastle, NSW, Australia, (451-456). 30 June-2 July 2010. Leach, Andrew and van der Plaat, Deborah (2010). Towards a nineteenth century architectural history of Australia and New Zealand: A post-national, post-colonial perspective. In: Jorge Correia, 1st International Meeting EAHN : European Architectural History Network : Book of abstracts. 1st International Meeting of the European Architectural History Network (EAHN 2010), Guimaraes, Portugal, (173-176). 17 - 20 June 2010.
van der Plaat, Deborah (2008). Harold Desbrowe-Annears: Some Methods of Architectural Criticism. In: Art Association of Australia and New Zealand Annual Conference (AAANZ 2008), Brisbane, Australia, (6-6). 4-6 December 2008. Tropical Sublime in Jean Nouvel's "Musee Quai Branly"
de Lorenzo, Catherine and van der Plaat, Deborah (2008). Tropical Sublime in Jean Nouvel's "Musee Quai Branly". In: Rosemary Hawker and Ross Woodrow, Art Association of Australia and New Zealand Annual Conference (AAANZ 2008), Brisbane, Australia, (). 4-6 December 2008.
de Lorenzo, Catherine and van der Plaat, Deborah (2007). Modernity, photography and the contemporary museum. In: 9th International Symposium: Pacific Arts Association (PAA), Paris, France, (). 5-7July 2007.
van der Plaat, Deborah (2007). The emancipated imagination and disciplinary reunification in nineteenth Century writings on art, architecture and science. In: Andrew Leach and John Macarthur, Architecture, Disciplinarity and the Arts. Colloquium of the Architecture Theory, Criticism & History Research Group, Institute of Modern Art, Judith Wright Centre of Contemporary Arts, Brisbane, (61-74). 17-18 August, 2007.
de Lorenzo, Catherine and van der Plaat, Deborah (2006). Art consuming architecture? Photography in Branly. In: Contested Terrains: Proceedings of the 23rd annual conference of the Society of Architectural Historians Australia and New Zealand. 23rd Annual Conference of the Society of Architectural Historians Australia and New Zealand, Freemantle, WA, Australia, (97-103). 29 September - 2 October 2006.
de Lorenzo, Catherine and van der Plaat, Deborah (2006). Contested Terrains. In: Terrance Mc Minn, John Stephens and Steve Basson, Contested Terrains. The 23rd annual conference of the Society of Architectural Historians, Australia and New Zealand, Fremantle, Western Australia, (89-95). Sep 29 - Oct 2 2006.
de Lorenzo, Catherine and van der Plaat, Deborah (2006). Interoperability and the photograph. In: Beyond Mimesis and Nominalism: Representation in Art and Science, London, England, (). 22-23 June 2006. De Lorenzo, Catherine and Van der Plaat, Deborah A. (2006). Realising Riley in Branly. In: Proceedings of: Photography and the City. Photography and the City, Dublin, Ireland, (). 29 June - 1 July 2006.
de Lorenzo, Catherine and van der Plaat, Deborah (2005). Ruskinian Readings: James Smith and John Lindt's representation of Victoria's Alpine forests. In: AAANZ 2005: Annual Conference of the Art Association of Australia and New Zealand Eril Baily; Roger Benjamin, Sydney, Australia, (). 30 November - 2 December 2005.
de Lorenzo, Catherine and van der Plaat, Deborah (2004). European imaginings of wilderness in late nineteenth-century Australian photography. In: Art Association of Australia and New Zealand Conference (aaANZ Conference 2004), Auckland, New Zealand, (). 1-4 December 2004. De Lorenzo, Catherine and van der Plaat, Deborah A. (2004). Redefining the urban limits: European readings of wilderness, photography and late nineteenth century Australia. In: Limits : Proceedings of the 21st annual conference of the Society of Architectural Historians Australia and New Zealand, Melbourne 2004. 21st Annual Conference of the Society of Architectural Historians Australia and New Zealand, Melbourne, Vic., (133-138). 26-29 September, 2004.
van der Plaat, Deborah and Gusheh, Maryam (2004). The idea of the liberated imagination in Walter Burley Griffin and Marion Mahony Griffins' Capitol Building (1912). In: Harriet Edquist and Helena Frichot, Proceedings: Limits: 21st Annual Conference of the Society of Architectural Historians of Australia and New Zealand. 21st Annual Conference of the Society of Architectural Historians of Australia and New Zealand, Melbourne, Australia, (388-395). 26 - 29 September 2004.
de Lorenzo, Catherine and van der Plaat, Deborah (2003). The emancipation of the untutored mind: The role of the exotic in Alexander von Humboldt’s aesthetic theory of nature. In: Art Association of Australia and New Zealand Conference 2003, Canberra, A.C.T., (). 5-6 December 2003.
de Lorenzo, Catherine and van der Plaat, Deborah (2003). Von Humboldt, Lindt and deCastella. In: SSLA Conference 2003; Sydney Society of Literature and Aesthetics, Sydney, Australia, (). 1-3 October 2003.
van der Plaat, Deborah (2000). 'The ambivalence of English modernism: Matthew Arnold’s theory of cultural perfection and the search for a modern architecture, 1890–1920'. In: Leach, Andrew and Petrovic, E., Formulation/Fabrication: the architecture of history. 17th annual conference of the Society of Architectural Historians, Australia and New Zealand, Wellington, New Zealand, (575-586). 13-17 November, 2000.
van der Plaat, Deborah (1999). Beyond Ruskin: Arnoldian themes in William Lethaby's concpetion of architecture. In: Blythe, Richard and Spence, Rory, Thresholds: Papers of the Sixteenth Annual Conference of the Society of Architectural Historians Australian and New Zealand. 16th annual conference of the Society of Architectural Historians Australia and New Zealand, Launceston and Hobart, Tasmania, (359-365). 28 September - 1 October, 1999.
van der Plaat, Deborah (1998). Desire not delight: William Lethaby’s Architecture, mysticism, and myth (1891). In: Julie Willis, Philip Goad and Andrew Hutson, Firm(ness) commodity de-light? : questioning the canons : papers from the fifteenth annual conference of the Society of Architectural Historians Australia and New Zealand, Melbourne, Australia, 1998. 15th annual conference of the Society of Architectural Historians, Australia and New Zealand,, University of Melbourne, Victoria, (405-412). 1998. Audience: Proceedings of the XXVIIIth International Conference of the Society of Architectural Historians, Australia and New Zealand (2011) . Edited by Antony Moulis and Deborah van der Plaat. Audience: International Conference of the Society of Architectural Historians, Australia and New Zealand (28th, SAHANZ, 2011), 7 -10 July 2011, Brisbane, Australia. Proceedings of the 28th Conference of the Society of Architectural Historians of Australia and New Zealand (2011) . Edited by Antony Moulis and Deborah van der Plaat. 28th Annual Conference of the Society of Architectural Historians, Australia and New Zealand, 7-10 July 2011, Brisbane, Australia. Fabrications The Journal of the Society of Architectural Historians of Australia and New Zealand. Special Issue titled "About Asia". van der Plaat, Deborah, Sully, Nicole and Wilson, Andrew (2018) Recollecting Home, curated by Deborah van der Plaat, Nicole Sully and Andrew Wilson. In Home: A Suburban Obsession, curated by Chenoa Pettrup and Adam Jefford. Brisbane, Queensland, Australia, State Library of Queensland. Tropical environments and Queensland architecture (1850-1914): building historical understandings of the culture of architecture and climate change.